Hello and welcome to my blog today, I hope that you are having a wonderful day so far. 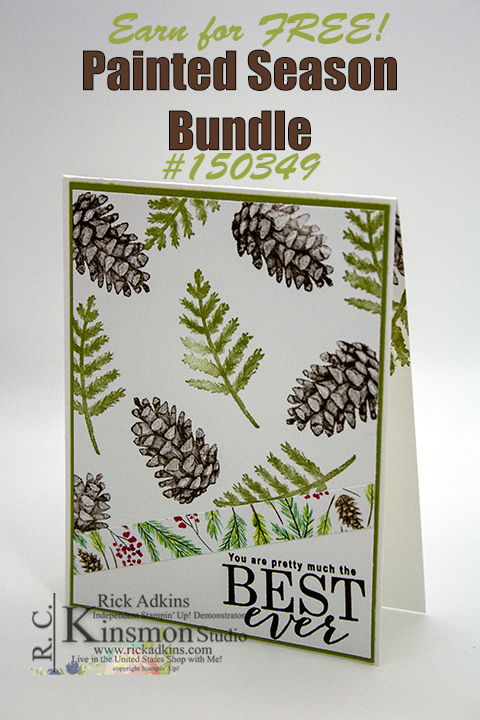 I am going to be sharing with you a card I created for my YouTube Live back a couple weeks ago. I used the Painted Seasons Stamp Set to create my card. Here's a look at the card. 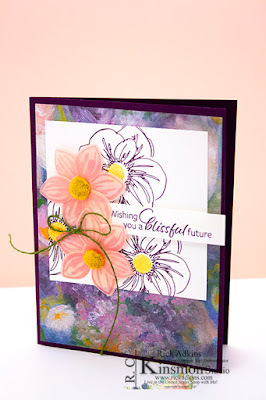 This was a super easy card to create and only uses just a few supplies. 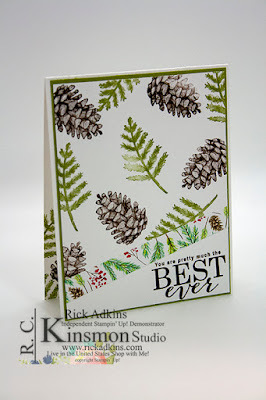 I used two stamp pads one stamp sets and a scrap of the painted seasons designer series paper. Here's a look at the live replay. 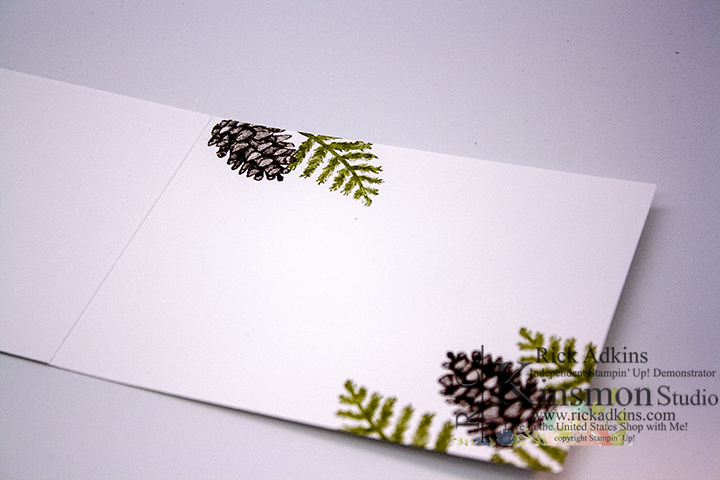 For the inside of the card I just simply stamped the pine cone and boughs. 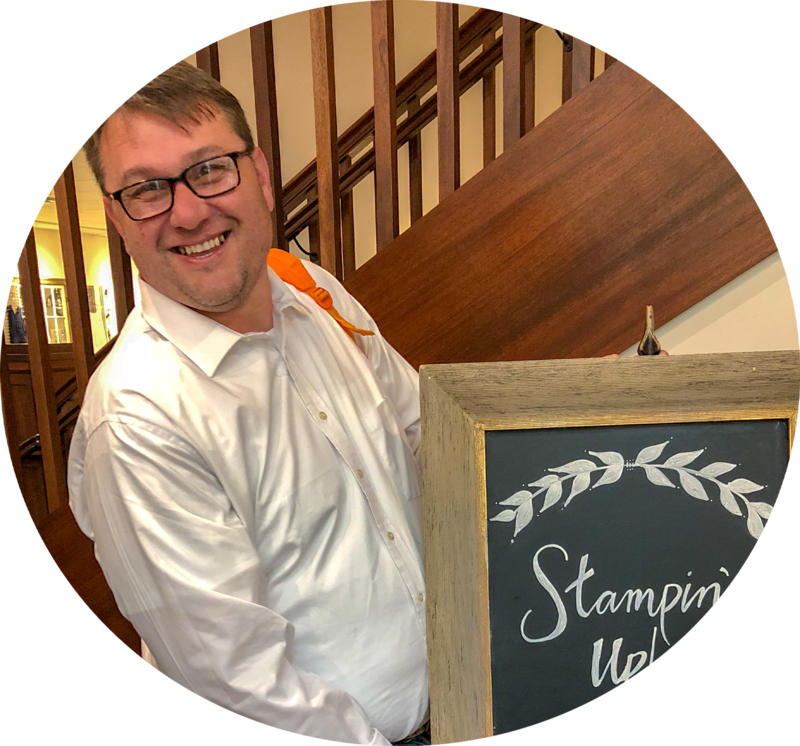 As of this past Friday we now have matching framelits that you can purchase to match this stamp set. I know right I couldn't believe it either. 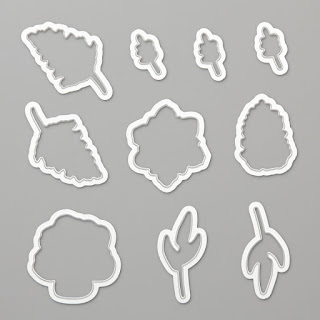 The are the Four Season Framelits and you can purchase them up in my online store while supplies last. Thanks for dropping by I hope that you have enjoyed my card today, and the replay of my YouTube Live. I will be live on Tuesday afternoon about 4 pm CST on there. 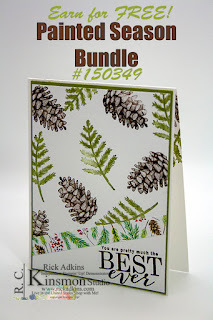 Labels: stampin' up!, crafts, cardmaking masculine card, Painted Season Bundle, Pine cones, rick Adkins, Saleabration, Saleabration Coordination, Stampin' Up!